‘This wine is a particular bargain as it’s got so much more flavour than the average Vinho Verde… As it opens in the glass, there’s a complex but very pure varietal aroma that is lemony, a touch floral and wonderfully fresh. 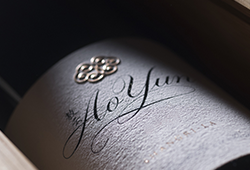 Manages to be both light on its feet and yet intense.‘ – Julia Harding MW, JancisRobinson.com. 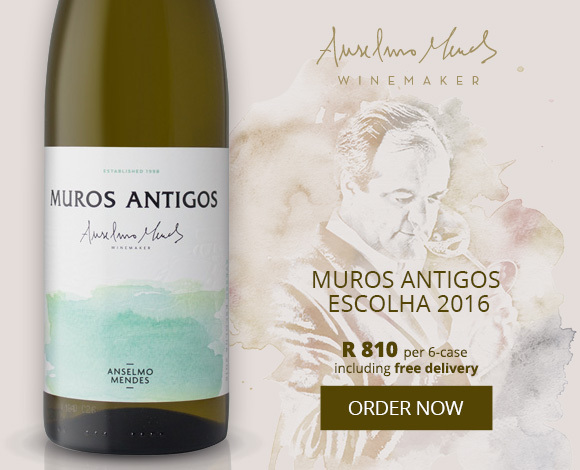 The Muros Antigos Escolha 2016 was Wine of the Week in November on JancisRobinson.com and we urge you to include this super value Vinho Verde in your summer drinking mix. 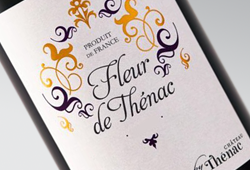 Its fresh acidity, abundance of fruit and low alcohol makes it the king of seafood wines. 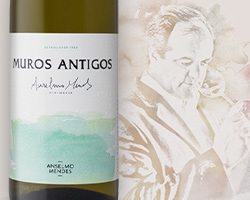 Vinho Verde is made from a number of local varieties but Mendes focuses on Alvarinho in the Minho Valley and Loureiro in the Lima Valley. Loureiro is known for its bright peach notes and fragrance while Alvarinho is similar with perhaps more richness and limy character. 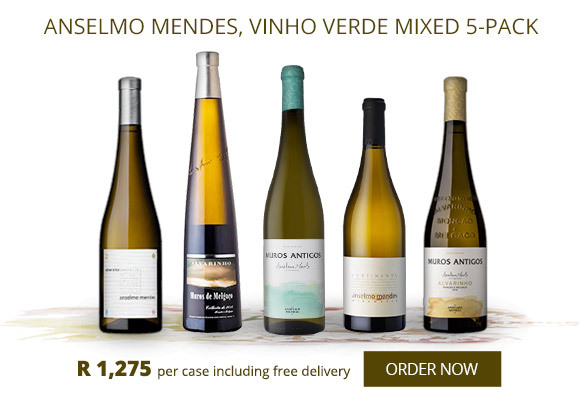 We offer the full range from Anselmo Mendes which includes the excellent skin-contact Contacto Alvarinho 2016, the more serious Muros Antigos Alvarinho 2016 and the two flagship, oak-matured cuvées – the Muros de Melgaço 2016 and the Curtimenta 2014. 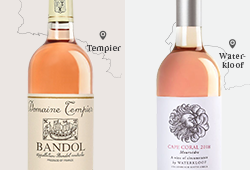 These classy wines will age happily for 5 – 10 years as Mendes focuses on lower yields and older vines. Delivered swiftly all around SA, we’re including free delivery on our first offer of 2018! PS: For those in Cape Town, join us hosting Sophia Bergqvist of Quinta de la Rosa next week Wednesday the 10th of January and taste through her incredible Douro wines and more. Book online now.